Iraq is outpacing rival Iran to become the second-biggest crude producer in OPEC, as its oil production reached 3.2 million barrels per day, according to the country’s Deputy PM. “Oil production is now at 3.2 (million bpd), higher than other countries like Iran, the United Arab Emirates and Kuwait,” Hussein al-Shahristani, Deputy Prime Minister in charge for energy affairs, told journalists. Iraqi production was as much as 3.079 million bpd in July, increasing 400,000 bpd since the end of 2011, according to OPEC's August market report. It’s the highest level in more than 20 years. Meanwhile Iran’s output declined by 700,000 bpd to 2.817 million bpd, the lowest level for Iran since 1992. 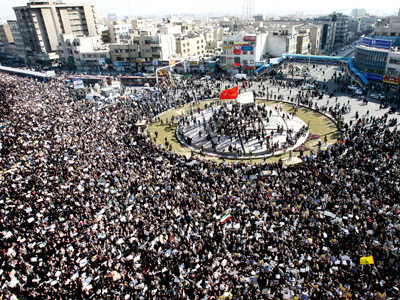 “In recent years Iraq has been developing a large scale program forits oil industry. The country attracts foreign investment and technologies to explore its resources,” Yulia Voitovich, analyst at Investcafe, told RT. 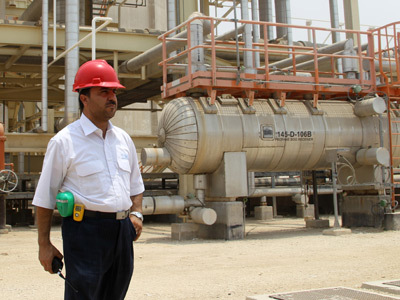 Russian companies such as Lukoil, Bashneft and Gazprom neft are developing projects in Iraq. Oil Minister Abdelkarim al-Luaybi says the country plans to boost production this year to 3.4 million bpd, and exports to 2.6 million bpd. Iraq has one of the world largest deposits, holding about 145 billion barrels of oil and 3.2 trillion cubic metres (111.9 trillion cubic feet) of gas. Voitovich said. As export volumes decline, Iran has to cut its production because storage is full, she added. Meanwhile there are political issues affecting Iraqi oil production as well, according to Voitovich.. 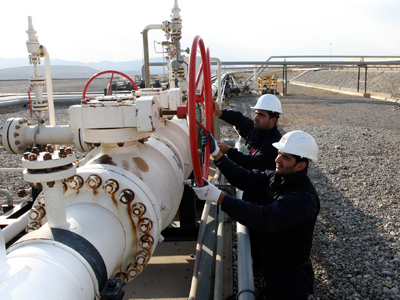 The government of Kurdistan signed a number of deals to develop resources, bypassing Baghdad. “It could lead to an escalation of tension between Baghdad and the autonomous region,"
The rearrangement of OPEC’s leading producers is unlikely to affect the market. However, the uncertainty about Iran and the decline in OPEC oil output would support oil prices, experts suggest.